Dialogue Space > The Nexus Times > The Sharing Economy: More than a new business model? The Sharing Economy: More than a new business model? Have you ever used a service offered via a collaborative platform? Nearly a quarter of Europeans have, according to a 2018 survey of 26,544 citizens from different social and demographic groups (Flash Euro barometer, 467 ). One in two has done so in accommodation by renting an apartment (57%) as well as in transport by car sharing (51%) (multiple answers possible). Eight in ten would recommend it in almost all countries, with the Netherlands being the only exception. Collaborative platforms are considered a convenient access to services; thanks to the availability of rating and reviews by users. When it comes to transport, platforms facilitating car sharing and car-pooling rank among the most popular in Europe. 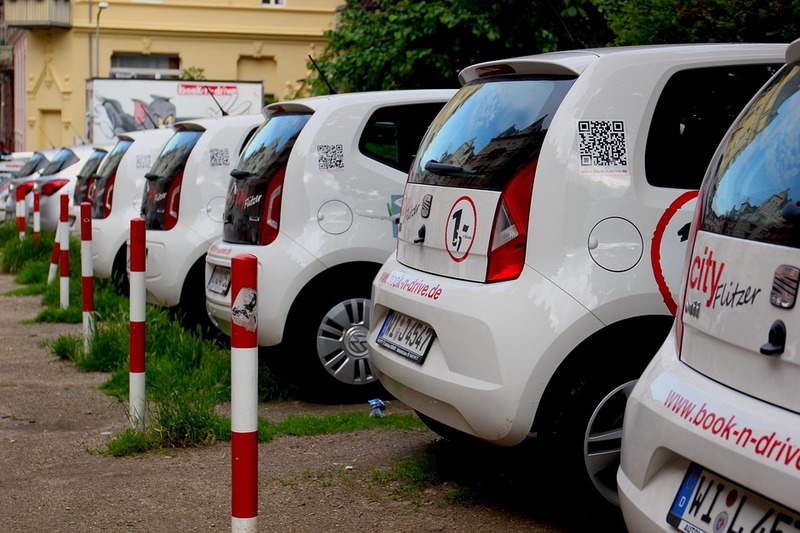 What is driving the shift towards a sharing economy, and can it fix the problems of Europe’s unsustainable transport system? Perceived sustainability is an important factor in the formation of positive attitudes towards a sharing economy, but economic benefits are a stronger motivator . Thus, environmental benefits tend to be a secondary effect rather than a primary mover of the sharing economy. From a policy perspective, regulations and technological possibilities differ greatly per country. The European Commission has fixed “A European Agenda for Collaborative Economy”  to coordinate important aspects such as requisites of access to the market, responsibility criteria if the platform has only intermediation functions or also guarantees payment, user protection, job regularization of subcontracted workers, the fiscal duties. Nonetheless, there is still a lack of rules and agreements, so the desirability and equity of a sharing economy remain questionable, as the harsh confrontation between Uber and taxi drivers in many occasions has highlighted, with echoes of the recent taxi strike in Barcelona that spread in many other major Spanish cities still in the air. From the economic standpoint, it seems this business model has many benefits for individuals, companies and society. This is why it is one of the fastest growing business trends in history with investors dumping more than 23 billion in venture capital funding since 2010 into start-up operating with a share-based model. Most business is private so that is impossible to know the actual size of the sharing economy. However, there are several clues to indicate its massive impact on our society. Uber along with Airbnb have a combined $103 billion market cap, which would rank the as the 38th wealthiest country in the word. McKinsey  estimates that in the U.S. and Europe alone 20-30% of the workforce are provides on sharing platforms. And there is still opportunity for growth: PwC study on 2017  has evaluated a market value of 28 billions of euro in Europe on 2015 with an expected value increasing up to 570 billions on 2025.
car- and ride-sharing solutions such as Zipcar or Blablacar. The e-hailing sector is also growing rapidly in Europe and both Mytaxi and Taxi.eu have more than 100,000 drivers.. Therefore, the urban mobility environment is changing rapidly – even in smaller cities, in which big players such as Deutsche Bahn, LIDL and particularly regional energy providers develop bike- sharing networks. Based on PwC study, the European market in 2017 reached €9.5billions with an expected increase of 90% already in one year. Uber’s ascension in the transportation industry is one of the best examples to illustrate the effect of the sharing economy in a traditional sector. Uber and other ride-sharing services offer an affordable, safe, and convenient alternative to traditional transportation options such as public transit or taxicabs. By utilizing an efficient mobile application and network of vetted drivers, Uber satisfies consumers’ transportation demands while providing an arguably better user experience than traditional means. But, as mentioned above, this new moon also has a dark side. In New York City alone, there are roughly 4.5 times more Uber drivers than yellow cabs. This has caused the price of owning a taxicab in New York City to drop from $1 million in 2015 to less than $200,000 today. Top Sharing Economy Brands in the Transportation Space: Uber ($72 Billion), Didi ($50 Billion), Lyft ($11 Billion) . In the car sharing segment of the fast growing sharing economy, the environmental benefits are actually limited and mainly a corollary of the economic ones. Cars could be considered responsible for around 12% of total EU emissions of carbon dioxide (CO2), the main greenhouse gas (European Commission, Climate Action, 206 ). Even if a 20% saving could be reached through more eco-friendly vehicles combined with better driving practices , given that the share of these vehicles only amounts to 5% of all, passenger cars circulating in the EU , they would reduce total emissions by an underwhelming 0.12%. Nonetheless, local effects beyond climate change should not be ignored. A substantial change in mobility patterns is central in easing congestion and pollution in cities: according to a study conducted on 2015 in the Netherlands, the reduced car use of car sharers yields an annual CO2 reduction of 90 kilograms on average, an encouraging figure calculated following a Well-To-Wheel approach (WTW), including the emissions involved in fuel production (both for petrol and electricity) . In conclusion, car sharing is not the dreamed “silver bullet” that can fix the excessive burdens imposed by private transportation on cities, unless combined with changes capable of much more substantial impacts on mobility. It is worth quoting European majors struggling with traffic issues  who recognize that policy actions to promote greener mobility must include both soft and hard measures and that car sharing is still a significant piece of the puzzle. As in all nexus-related issues, governance is called in and contrasting narratives that animate the political debate and sustain the proposed solutions should be collectively mobilized toward a socially constructed wise way for mobility. European Commission, The Use of the Collaborative Economy, Flash Eurobarometer 467,TNS Political & Social, October 2018. Arvind Malhotra, Marshall Van Alstyne (2014), The Dark Side of the Sharing Economy ... and How to Lighten It, Communications of the ACM, November 2014, Vol. 57 No. 11, Pages 24-27. Gansky Lisa (2010), The mash: Why the future of business is sharing. Rachael Botsman, Roo Rogers (2010), What’s Mine is Yours: the Rise of Collaborative Consumption, Tantor Media. Juho Hamari, Mimmi Sjöklint, Antti Ukkonen (2016), The Sharing Economy: Why People Participate in Collaborative Consumption, Journal of the Association for Information Society and Technology, 67(9), 2047-2059. BMW Group and Daimler Annual Report (2017). We are shaping the mobility of the future. Car-hailing regulations to set China precedent, Financial Times, 15-X1-2016.